Chapterthon est un marathon mondial des Chapitres de l’Internet Society (ISOC), ouvert à tous les Chapitres de l’ISOC, ayant pour but: développer un projet autour d’un objectif global. L’objectif de Chapterthon 2017 était placé sous le thème: « Les écoles numériques ». Trente Chapitres ont travaillé ensemble autour des projets du développement de l’éducation et de l’Internet dans leurs régions. Le lauréat du Chapterthon 2017 est l’Internet Society Turkey Chapter pour le projet Coding Sisters. Le Chapterthon 2017 a remporté le Prix du SMSI 2018 pour la catégorie C11: Coopération internationale et régionale. 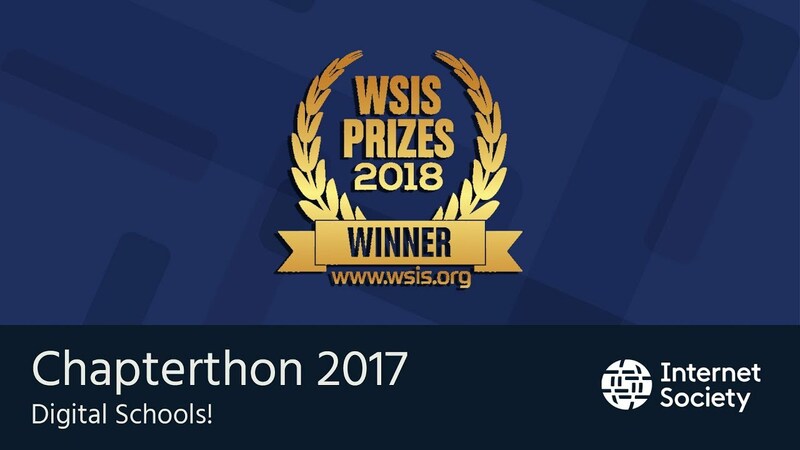 WSIS Prizes est un concours international unique développé pour présenter les projets qui met en valeur des TIC pour atteindre les ODD des Nations Unies, 17 objectifs mondiaux dédiés à la construction d’un monde meilleur d’ici 2030. 30 Chapitres de Internet Society, dont les sections de toutes les régions ont travaillé dur pour étendre les avantages de l’utilisation d’Internet dans l’éducation à leurs communautés. Connecter les écoles à Internet, enseigner le codage aux filles, former les enseignants et les parents, sensibiliser à l’utilisation sûre de l’Internet, développer une plateforme en ligne pour une école et aider à créer du contenu éducatif et local ce n’est que quelques exemples du extraordinaire travail de nos Chapitres. Tous les projets ont marqué d’une façon importante les écoles locales, les membres de la communauté Internet Society ont voté et sélectionné celui qui était le meilleur. Le lauréat du Chapterthon 2017 est l’Internet Society Turkey Chapter pour le projet Coding Sisters, qui avait pour but d’optimiser les opportunités pour les filles qui voudraient s’impliquer dans le domaine des STEM. The objective of this Project is to implement a sustainable Internet connectivity project in a rural school in a town in the west of Argentina. The connectivity involves a school with a low bandwidth connection. The project is to train 30 teachers from 20 schools from Yerevan to gain essential knowledge and skills to develop e-learning products for educational contexts. Teachers directly participating in project activities will benefit from capacity development and will share their acquired skills and knowledge with their colleagues and students. 73 percent women who use the internet in Bangladesh are subject to cyber-bullying or another form of cyber-crime. By forming a chain-based community of trainers, mentors, legal supports and cases studies, the project will help girls to be aware about the cyber issues. The objective of the Yatiña Iyambae project is to develop a course that gives the students the initial knowledge on suitable tools for the creation of contents and their publication. Students will have the opportunity to make practical use of these tools in the classroom and they will learn together with their teachers. The aim of the programme is to teach basic programming to hundreds of children so they are able to develop basic software and awareness for hundreds of teens about behavior in the use of the Internet and promote the healthy use of the Internet. The purpose of the project is to raise awareness about the major online risks among 7-15-year old children and empower them to use effective preventative measures for mitigating those risks, while actively seeking support from the consultants of the BSIC and from trusted adults, such as parents and teachers. The project seeks to promote the safe use of the Internet by teachers, children, teenagers and parents in educational entities in the Dominican Republic. The beneficiaries of the campaign will increase their knowledge about the risks and threats to which they are exposed on the Internet and will learn good practices. This project is oriented to implement a System of Virtual Tutorials through Internet in a school in Manta, Ecuador. The aim is that children of the last grade support children of intermediate grades in certain subjects in a community collaborative process for the affirmation of knowledge through a simple e-learning system. El proyecto desarrollará una plataforma on-line que permita a los alumnos de los centros educativos ir desarrollando habilidades de emprendedores. Con una dinámica lúdica, intuitiva y pedagógica, los alumnos emprendedores irán construyendo su modelo de negocio y paralelamente se irán formando para adquirir habilidades complementarias a su formación técnica. Online course to teach high school students basics of online collaboration for writing encyclopedia articles for Wikipedia was developed by Wikimedia Estonia last year. This year we plan to engage up to 50 high school students for the course and document the experience for easier organising of the course in the future as well as to start to adopt it also for schooling Wikimedia administrators. The project seeks to empower local youth about the importance of social activism precisely using online resources to strengthen democratic values within their communities. We want to teach children through lectures and workshops the importance of democracy in their own communities and how the Internet can be an important to increase their civil participation. The Internet of Things could be successfully integrated into the education system of Kazakhstan to give opportunity to young generation to get knowledge and skills required in 21st century. We proposed trainings oriented to high school teachers from Almaty city who can then teach their students the technical and soft skills needed to ideate, design, prototype and present the business value of an end-to-end IoT solution. 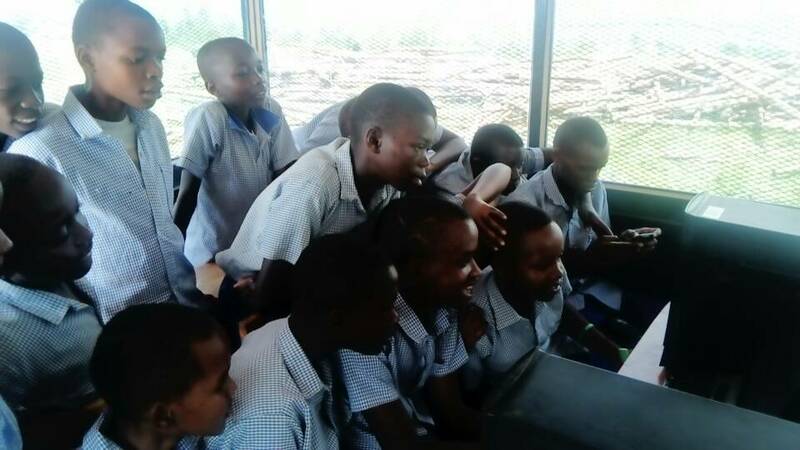 The project seeks to create an educational community network enabling schools and youth centers in Kibera, Nairobi to access both global and local learning resources, share and collaborate on content creation. We believe that this will be a low cost model that can be replicated in other slum and rural areas. Effective communication between educators and parents is an issue in many places in Mali. This project will deploy an application called “Suivi Scolaire”, that will able parents to follow the schooling of their children from their smartphones, tablets (mobiles), computers etc., in real time. The project aims to deliver workshops, courses and briefings to young people and parents, so that they are aware of the risks and dangers that their children are having on the Internet. They will be trained about good safety practices so that they learn how to protect information and personal data of their children. The project is about generating awareness about digital literacy in Education at Melamchi. The aim is to provide training about the use of the Internet and the importance of digital literacy to students who are the future of the community. To achieve this goal, we will prepare the training materials on digital literacy and cybersecurity in general terms so students can understand the concepts easily. The project is about promoting digital literacy in 3 remote schools of the Macizo, empowering more than 65 young students and teachers in the use of coding principles with nano electronics open source solutions. The students will be able to run experiments and create solutions based on simple scratch coding principles. The aim of the project is to recover the research spaced for capacity building of students of technical schools. To do this, 5 computers will be put in condition, an IPV6-based network with internet access and the necessary furniture. Yo ingreso is a web platform that aims to gather young people who wish to prepare themselves for university. The intention is to create a database of questions that will allow each user to simulate a real entrance exam. Yo Ingreso, provides statistics of the progress of each student. In addition, it lets the user share their issues or comments. The project provided a facility to the institution in order to minimize the digital divide between students who are capable of having the proper technology and students who lack the necessary means. An additional educational training on certain topics to teachers and students will be facilitated by students from a university. The project aims to set-up a connected mini lab for the School in order to resolve an issue of space. Currently IT equipments are kept is hardly accessible area making it impossible for students to use the internet and for teacher to do research. The mini Kiosk will host the equipments and provide one year internet access and a refresher training to teachers as well. This project aims to train 50 young parents between age 15-35, in the use and appreciation of the Internet. It will target two (2) underserved communities (Sandy Bay and Canouan) and it will complement the Government’s ICT initiatives of « one laptop per child » and the free, open wifi internet connection at all schools and community centres. e-Ambassador, is a program that aims to identify for each school disadvantaged, students who can be the guides of their colleagues on the Internet and on the use of the platform Actuschola. The main problem this project solves is how to deal with emerging technologies such as Blockchain and basic community connectivity needs in an uncomplicated way. It will accomplish this by creating interactive dialogues and experimenting with demonstrations of concrete applications for Blockchain and discussing the effects of community connectivity. The project has 4 goals: increase the number of Wikipedia contributors, users and editors amongst youth; build capacity of leaners to develop, edit and translate online content; improve reputation of Wikipedia as an education platform and encouraging youth to be interested in creating and translating content. This program aims to address a current problem: the Internet addiction and its effect on education. It will include a Round Table, a discussion and counseling camp. A student group will be selected from various schools and vocational training institutes. Medical Practitioners on Psychology, Education Experts, Sociologists will conduct the training. The aim of the project is optimizing the opportunities for girls to be involved in STEM field and Internet Studies in growing numbers. This project focuses on closing this gender gap in Turkey through educating youth on how women can be successful in areas of technology with the help of digital tools. The programme will consist of coding lessons and follow up to these lessons on digital platforms. 1) to introduce the LOL IH to NYC teachers and establish a couple of pilot courses in NYC schools. 4) to create useful material that can be shared more widely, for example, with Chapters. Digital Educational Network in "Eloy Paredes"
The main objective of the project is to design and develop a low-cost architecture to provide Internet access services to the Eloy Paredes Educational Unit in Merida, Venezuela. It also aims to provide tools to support teaching virtual augmented reality. In addition, it will promote the social, cultural, productive, educational and digital inclusion of 795 regular students. The project aims to eradicate digital illiteracy in the area surrounding the Namaa model schools. By connecting the community to the internet and establishing and implementing training programs about the benefits of the Internet, we want to show how the internet can improve the quality of life.